In the first ever regional human rights hearing at the Inter-American Commission on Human Rights, held today in Boulder Colorado, several Commissioners as well as the Special Representative on Economic, Social and Cultural Rights, Soledad Garcia Muñoz, expressed their concern over the advancement in Latin America of the controversial oil and gas extractive procedure commonly known as “fracking”. The hearing was requested by more than 120 civil society organizations from 11 countries, calling for the halting of all exploration and extraction of oil and gas by means of hydraulic fracturing (fracking), a procedure which breaks apart the geology and contaminates the environment by the use and release of dozens or even hundreds of chemicals, many of which are highly contaminating or in some cases, deadly. Fracking was invented in the United States, which is the only country at present where the activity is economically viable. Social and political concerns over the impacts of fracking are so high that hundreds of localities around the world, and even some countries have banned fracking outright, including Germany, Ireland, France, and Uruguay. Numerous localities in England, Australia, Mexico, Argentina and Canada have also decided to ban hydraulic fracturing. Even Denton Texas, where the first fracking wells were explored has decided to ban fracking over concerns of environmental risks it has learned since the inception of the controversial practice. Latin America already has over 5,000 wells that have experimented with fracking, either through exploration or extraction and production, most of these in Argentina and Mexico. Representatives from numerous countries traveled to Boulder for the Inter-American Commission on Human Rights’ 169th General Hearing Sessions, to share with commissioners their knowledge of fracking and its numerous impacts, as well as its advancement in the Latin American region. The Special Representative for Economic, Social and Cultural Rights, Soledad Garcia Muñoz, present at the hearing stated, “I’d like to thank the Commission for putting this issue on the agenda. It is a clear indicator of the importance the Commission assigns to this issue linking human rights to the environment. We’ve seen clearly how the technique of fracking should be of concern to the Special Representative’s Mandate. The right to water is affected. 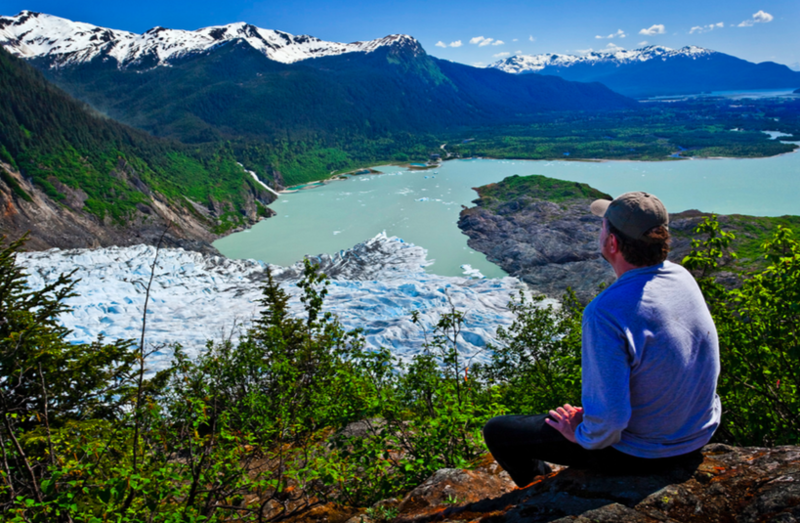 There are implications to the environment, to water, air, land, ecosystems and health. Climate change is also implicated since the activity augments the amount of greenhouse gases released to the atmosphere”. Flavia Piovesan, Commissioner from Brasil, stated, “It is important to clarify fracking’s impacts to human rights. I was alarmed with the information about environmental risks and its impacts to health. These are impacts that know no borders. The impacts are particularly important for women and children. We must document these impacts and their human rights impacts. We have to study government policies that have banned fracking to see how they can be replicated in the region”. 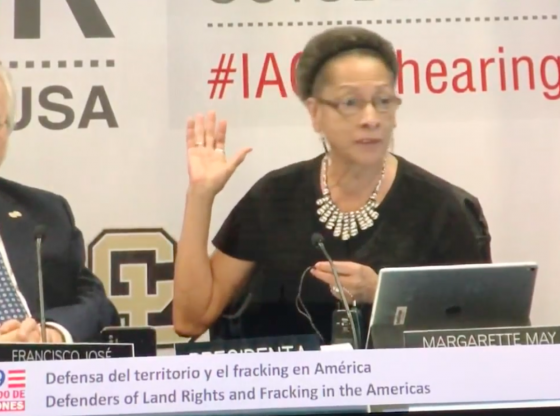 The President of the Inter-American Commission on Human Rights indicated, “I am afraid of what I have seen regarding fracking. The residual water can impact food and affect those that consume the food. Aire is also contaminated. Because the right to a safe and clean environment is a fundamental right, these impacts by fracking are a clear violation of human rights”. In reference to the hearing requested by civil society, she said, “I am very grateful that you have requested this hearing and that there were so many organizations present. The Commission must assume the responsibility of gathering more information on such a destructive activity. Human beings often do things without understanding their consequences. The impacts of fracking seem to be nefarious”.